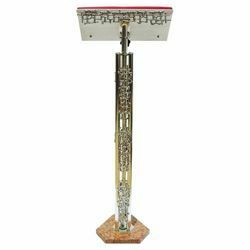 Altar Lectern produced by a historic Italian workshop specializing in sacred furnishings. 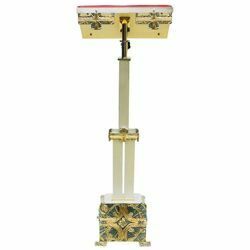 Liturgical Lectern produced by a historical Italian workshop of sacred furnishings. 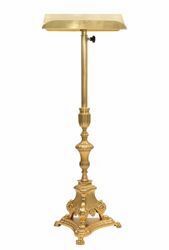 Column Church Lectern produced by a historic Italian workshop specializing in sacred furnishings. 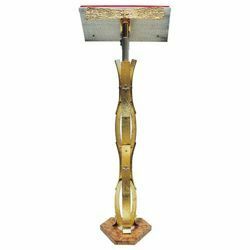 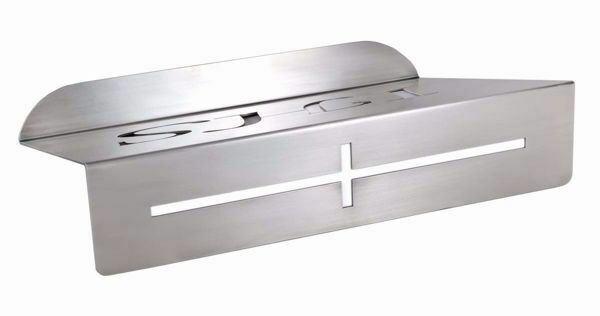 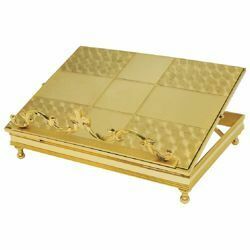 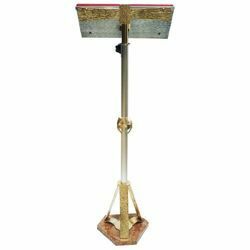 This Missal and Bible stand for the church is made of two-tone cast brass. 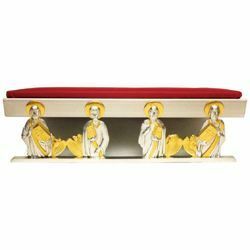 The altar bookholder is decorated with representations of the four Evangelists. 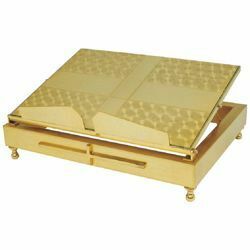 The lectern is sold with an elegant leatherette red cushion.